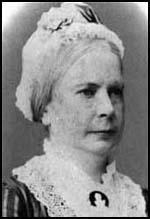 Frances Buss, the daughter of Robert Buss and Frances Fleetwood was born on 16th August 1827. Robert Buss was an engraver but he was fairly unsuccessful and the family were extremely poor. Frances was the eldest of ten children, but only five of them survived beyond childhood. Frances attended a local free school. Frances Buss did very well with her studies and at the age of fourteen she was asked to help teach the other children. Inspired by her daughter's educational achievements, Mrs. Buss decided to open her own school and Frances was given the job of teaching the older children. Frances had a strong desire to improve the standard of her teaching and in 1849 she became an evening student at the recently established Queen's College. Inspired by her training, Buss decided to start her own school and in 1850 she established the North London Collegiate School for Girls. In an attempt to achieve and maintain high standards, Buss only employed qualified teachers. She also made use of visiting lecturers from Queen's College. The North London Collegiate School soon developed a reputation for providing an excellent education for its students. Other women involved in the campaign to improve the education of women visited the school. 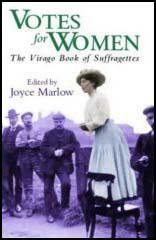 This included Emily Davies who was to persuade the authorities to allow women to become students at London University. The two women became close friends and became involved in the campaign to secure the admission of girls to the Oxford and Cambridge examinations. In 1864 the Schools Enquiry Commission agreed to look into gender inequalities in education. In 1865 Frances Buss gave evidence to the commission. In 1865 Frances Buss joined with Emily Davies, Elizabeth Garrett Anderson, Barbara Bodichon, Helen Taylor and Dorothea Beale to form a woman's discussion group called the Kensington Society. 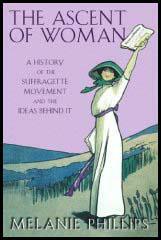 The following year the group formed the London Suffrage Committee and began organizing a petition asking Parliament to grant women the vote. Buss remained a strong supporter of universal suffrage. She also worked closely with Josephine Butler and helped her with campaigns against the white slave trade and the Contagious Diseases Act. In 1871 Frances took the decision to change her North London Collegiate School from a private school to an endowed grammar school. Although this resulted in a loss of income, Buss was now able to offer a good education for those girls whose families could not afford the fees of a private school. In 1880 Frances Buss began to suffer from a debilitating kidney disease, although she continued running the North London Collegiate School until her death on 24th December 1894.